I have purchased 7k Diamonds today as well as spent over the required 4999. 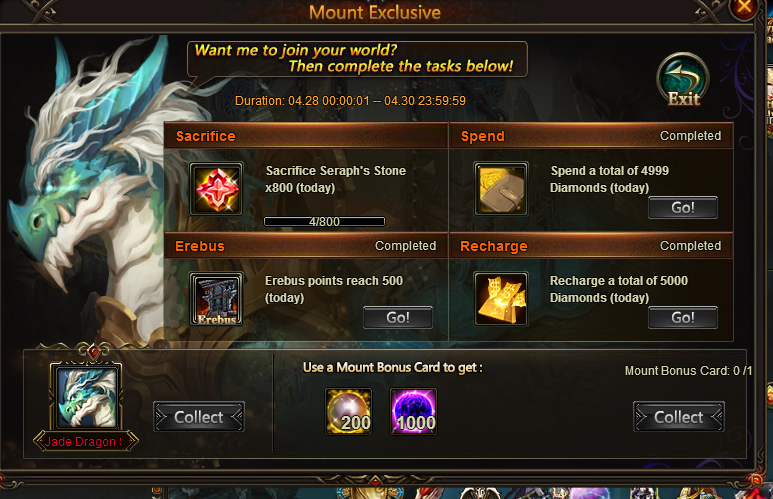 I have also completed over 500 points in Erebus but my Seraphs stone sacrifice has remained at 4/800 all day and it will not allow me to get the Jade Dragon. Please help. 2019-4-25 04:32 GMT+8 , Processed in 0.048456 second(s), 36 queries .